Whether behind his faithful Underwood, or drunk in the corner of the Floridita bar in Habana, Ernest Hemingway could pack ’em in. Not only the booze and admirers, but the words, too. He’s credited with writing the best 6-word short-short novel ever written. In today's world, it's called Super Flash Fiction. Sad, when you think about it. A baby who died at birth. But Hemingway is giving his writer friends a 6-word lesson in writing—good story telling is participatory. If the reader doesn’t have any emotion for the characters, or sense of urgency, the story will fall flat on its face. One of my favorite stories about Hemingway happened when Lillian Ross, writer for The New Yorker, wrote to him in Cuba, asking if she might interview him on his next pass-through the Big Apple. Papa seldom stayed over. He preferred to pass through quietly, heading on to who knows where to be with his friends, drinking, telling loud stories. While he abhorred the limelight of the press, he loved his lime. He was a regular at the Floridita. (I've been there.) Shorts, sandals, an open, long-sleeve shirt—rolled up above the elbow—was his unassuming style. His life-size bronze statue still resides in the corner. He probably never gave much thought to his sweaty, glistening skin and roughen beard. The photographs of him usually show a lot of chest hair. Why was his shirt always open? The Cuba and Key West humidity I suppose. According to Ross, here’s what Hemingway told her on the tarmac at Idlewild airfield, all while hugging a four-foot Nigerian who had shared a seat beside him on the long flight. They’d obviously exchanged much conversation on the flight, because Hemingway kept squeezing this little guy in a hug of fresh friendship. Evidently, the little man had read Hemingway’s work. Papa was astounded, and mimicked to Lillian Ross his new friend’s explanation of Hemingway's books, all while standing on the tarmac. Did Papa know something about writing, or what? And, he evidently knew about air travel. His aeronautical metaphor for how to write a riveting book is a short story in itself. Why is it that most of the great writers are peculiar in one way or another? Why am I so normal? Not all of them committed suicide, did they? employees in two cities, winning numerous national and international creative awards. Michael sold his firm in 2011 and turned his attention to full-time Christian fiction writing. 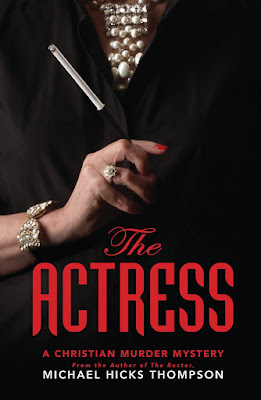 His latest novel, The Actress, is available in book stores and on Amazon in print, and Kindle. The Rector was first in the series. They’re both murder mysteries that take place in the Mississippi Delta. The Rector has already won four major awards.